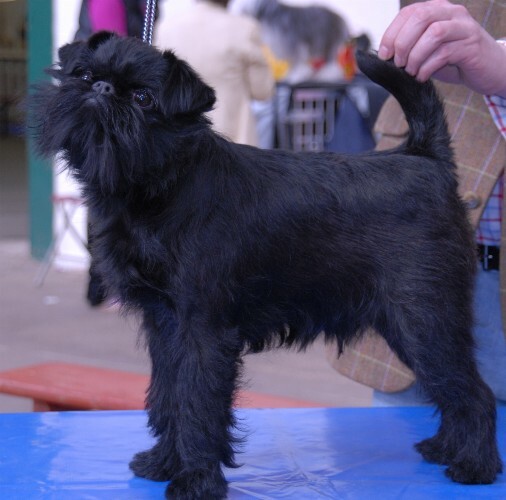 In 2005, our first Griffon Belge came to live in amongst the Tibetan Spaniels. 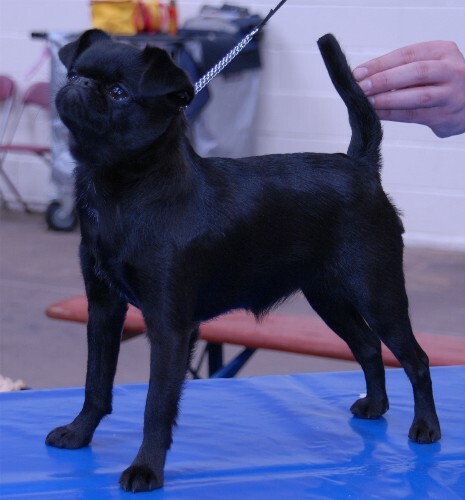 Gwyneth, aka Liamford Miss Damson, is bred by Samantha Burr and David Davies of the successful Liamford kennel, well known for their belges. She is owned and shown by Lionel Prouvé and is also our first Griffon Champion and UK Stud Book number holder. 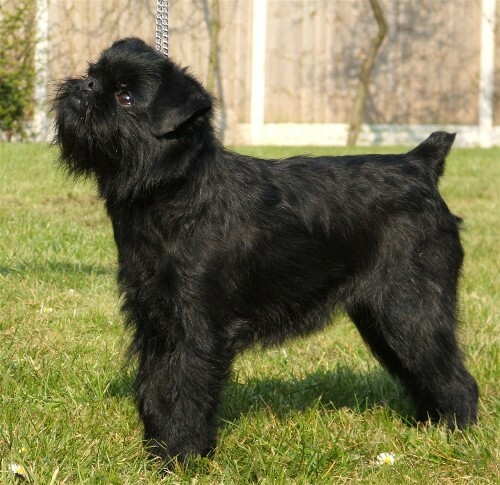 In 2007, our first litter was born, under the Castafiore affix and we have kept a male Belge and a black petit brabancon female. Our second litter came in Sept 2009, with Castafiore La Popessa our 2nd black smooth staying with us.